Hello Product Cost Management World! 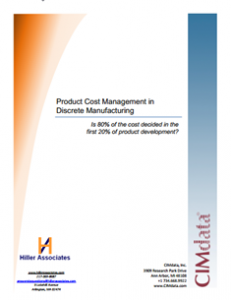 That’s right, this week Hiller Associates, partnering with CIMdata (a leading analyst firm in the area of Product Lifecycle Management), released the most extensive research to date on Product Cost Management. We surveyed respondents from many industries and drew upon decades of our own experience in the field to provide a comprehensive report that discusses the state of product cost today and how well companies are doing at meeting cost targets. 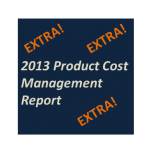 This report defines each of the Product Cost Management techniques and puts them in perspective. It discusses the priority of cost as a product attribute versus time-to-market, quality, performance, and other product attributes. It also discusses how extensively cost targets are set in industry today, what percent of products meet cost targets, what product cost management techniques companies are using, and what software tools can help. How well are companies doing versus cost targets? What is the priority of cost versus quality and timing? 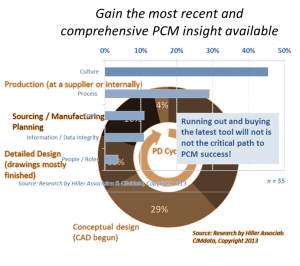 How are companies setting cost targets? What is holding firms back from profit? What tools and techniques are solving the problem? …and is the DARPA study a hoax!? CLICK HERE to get the report, and feel free to contact us with questions!